Are you geared for fall and Halloween fun? On the hunt for some fall foliage and cooler temps? Kids out of school for Fall Break? Go ahead and gear up for a fun, fall getaway to Bowling Green! A family favorite! With Halloween approaching, the color is Orange and the theme is family fun at Jackson&apos;s! That means Wagon Rides to the Pumpkin Patch, Pick-Your-Own Pumpkins and Apples, The Corn Maze, Petting Zoo, Pony Rides, Straw Castle, Face Painting, The Goat Ranch, and The Cider Slider children’s slide. Not to mention all the great food including Jackson&apos;s Orchard Hot Dog Cart! Did we mention Caramel Apples?! Speaking of apples, don&apos;t miss their AppleFest that officially kicks off fall over Labor Day weekend, September 2-4. Visit the website here. Bowling Green’s very own ghostly adventure highlighting the spookiest in downtown BG! The tour discloses the dark and mysterious history rooted around Fountain Square Park, an eerie cemetery and even a secret haunted location that has been closed to the public for nearly 100 years. Unseen Bowling Green considers this tour family friendly but it is up to the parents’ discretion whether the tour is appropriate for their child. Histories, Mysteries, Scandals and Haunts tour (21+ only) dates TBA. Visit the website here. It&apos;s the Scariest Haunted Attraction in Kentucky according to Fodors.com and you don&apos;t want to miss it... just 15 minutes from Bowling Green out Cemetery Road! People drive across the state and beyond to brave over 10 acres of spooktacular, interactive scenes in the Haunted Woods with live actors guiding, or should we say, chasing you in the right direction. Other attractions include Gold City Ghost Ride haunted hayride, Skeletal Visions 3D Zone, Doomsday Doll Factory Haunted House, and the brand new 3 Minute Escape Room! Special Celebrity Appearances: Oct. 19-20... James Jude Courtney, the &apos;new&apos; Michael Myers, will be signing autographs AND you can even watch the new movie in the theatre WITH HIM!! Visit the website here. This colorful and exciting fall event will bring enjoyment to the entire community. Stretch your legs as you walk the Valley trails to see the homemade scarecrows on display decorated by area businesses, organizations and clubs. This is the 6th annual fundraiser for the Friends of Lost River Cave, so be sure and vote for your favorite ‘crow! 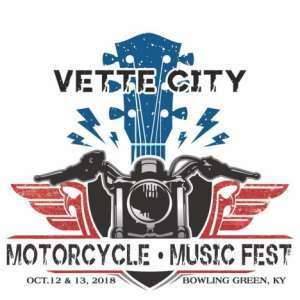 This unique event in its 3rd year features select craft brews from the region, hand-picked Kentucky bourbons, live entertainment, and much more. 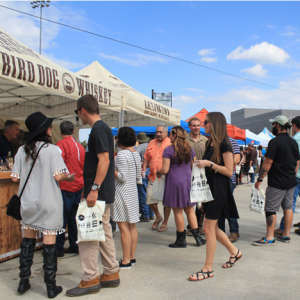 Enjoy a day of Bourbon, Brews, and Bands inside Bowling Green Ballpark; home of the Hot Rods! Food trucks will be on hand and free rides are available. Selected by the Southeast Tourism Society as one of the south&apos;s Top 20 Events in October! Haunted Lantern Tours are coming alive again at the Historic Railpark & Train Museum this October! Be prepared to encounter ghostly characters and storytellers inside the restored railcars. Stories from the historical train travel days will give you a serious case of goosebumps so make sure you come ready to be SPOOKED! Friday-Saturday, October 12-13 | NEW THIS YEAR!